Chandler Hall - Times Publishing Newspapers, Inc.
Chandler Hall continues to grow! 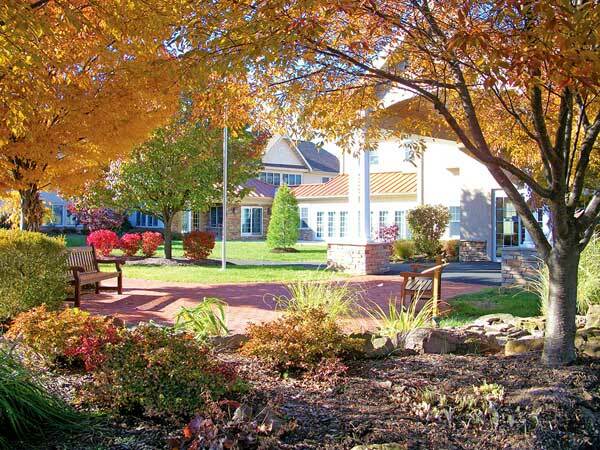 Chandler Hall is the chosen community for Continuing Care in the Newtown area. Over the past 45 years Chandler Hall provides Independent Living, Personal Care, Short-term rehab and long-term skilled care. Adult Day services, Secured Memory Care and Hospice services at home, and the inpatient Pavilion are also available. Each person is provided with the dignity of remaining as independent as possible with the knowledge of our expertise to be provided when and if needs arise. We at Chandler Hall are proud to announce our Hicks Memory Support Residence is now SECURED. The residents who live in the spacious apartments continue receiving our exceptional care along with families having the knowledge their parent or family member is in a safe and secured environment. We promote independence, personal preferences and adjust care approaches for the individual. Each resident’s family member is part of the Chandler Hall family and are welcome to join their loved one throughout the day. The Personal Care Administrator and Resident Care Coordinator work with local specialists in the field of dementia such as psychologists, medical social workers and Geriatric physicians to provide a well-rounded support system for the resident and family members. Are you aware that hospice and palliative services are available to individuals much sooner than you realize? Did you know hospice services can be provided to individuals in their homes with Chandler Hall’s interdisciplinary team of physicians, nurses, medical social workers, chaplains, volunteers and care partners? Hospice and palliative services are available to individuals diagnosed with advanced illnesses such as, heart or lung disease, Alzheimer’s, neurological diseases (ALS, Parkinson’s Disease) and cancer in your home. Our experienced team will come to your home in lower and central Bucks County as well as northeast Philadelphia and design a plan of care with you. If you or someone you love is experiencing signs of dementia or you have questions regarding our Hospice at Home program, please call us at 267-291-2300 for more information.